Who will you rely on in the zombie apocalypse? Bodies on the TV, explosions, barriers, and people fleeing. No access to social media. And a dad who’ll suddenly bite your head off – literally. Members of a band wield weapons instead of instruments. A pair of siblings find there’s only so much you can joke about, when the menace is this strong. And a couple find depth among the chaos. 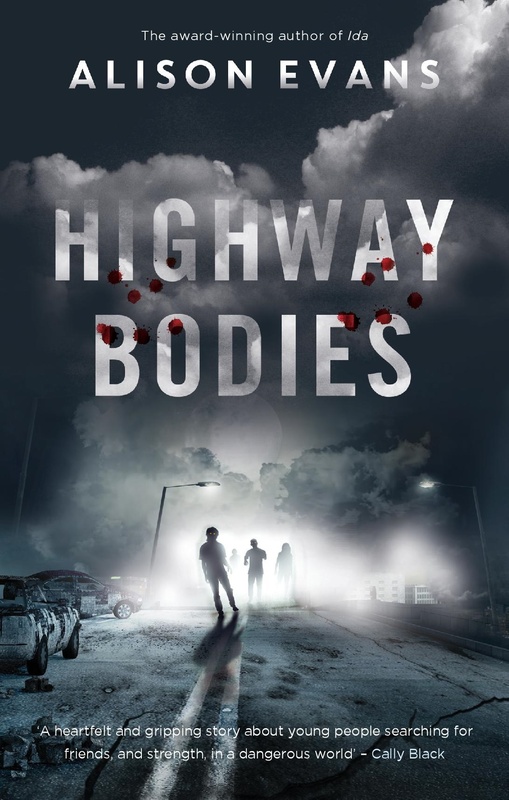 Highway Bodies is a unique zombie apocalypse story featuring a range of queer and gender non-conforming teens who have lost their families and friends and can only rely upon each other. Alison Evans is a nonbinary author from Melbourne, Australia. They are co-editor of Concrete Queers, a maker of zines and a lover of bad movies. Their work has been published in various Australian and international magazines, lit journals and zines, and their novel, Ida (Echo), was the winner of the People's Choice Award at the Victorian Premier's Literary Awards. You can find them on twitter @_budgie or their website, alisonwritesthings.com.